ALL songs, including the "Romance de Mignon" for soprano and the duet "La Fuite"Peter Gijsbertsen, tenor, Liesbeth Devos, soprano, Jozef de Beenhouwer, pianoThe umpteenth recording of songs by Duparc? No, but a recording of all songs that the composer, one of Csar Francks students, did not destroy. From the early 1880s he began to show symptoms of a nervous disease; from 1885 until his death he wrote music no more. 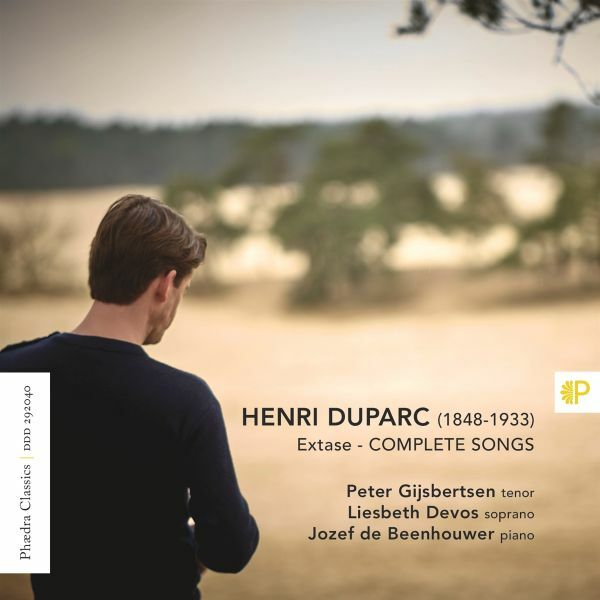 He kept and left us some forty works, including these seventeen songs.he French Romantic tradition of song writing culminates in his work; yet at the same time Duparcs form and idiom open the door to impressionism. His songs are among the finest in the genre and are very popular.